After having Intacs/CXL performed by Dr. Hersh and his staff I can truly say they are some of the best professionals I've met in any discipline. The knowledge of the entire staff is very reassuring considering the fact that you don't get a second chance with eye surgery. The staff and environment are very friendly and Dr. Hersh is patient when I ask a ton of questions. I'd recommend CLEI to anyone facing keratoconus or laser surgery for sure. I've had both eyes treated under the study and can notice a positive difference in my vision. The best thing is getting an eye checkup and hearing "improvement" rather than "need a stronger prescription" or "I'm sorry, there's nothing more we can do with glasses". 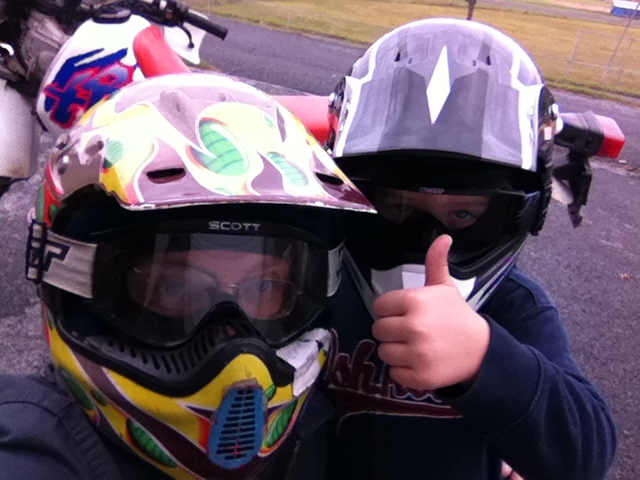 It's nice to be able to ride motorcycles with my son and have more clear and confident vision. My son has been playing since he's 6 years old, and I've attended most of his games. Four years ago on my birthday Dr. Hersh performed surgery on my eyes. The following weekend my son scored 4 touchdowns and it was the 1st time I was able to not just watch my son but see my son play. When you can't see the numbers on their uniforms it's hard to tell them apart. I am forever grateful for all of you and how much you all have done for me. 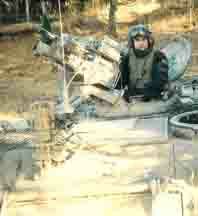 In 1997 to 1998, I was a scout/sniper on the southern boundary of the DMZ in Korea with the 506th Infantry Regiment - the same regiment made famous by "Band of Brothers." All told, I served nine great years in the Army with deployments in Bosnia Herzegovina, Kosovo and Poland to help the Polish Army establish a Non Commissioned Officer Corps. After my service, I pursued a career in public relations. My life changed one day when I hit part of a tree in the road and I didn't even see it. A big-box retail chain couldn't get an accurate prescription o I was referred to a corneal specialist who diagnosed me with Keratoconus (KC). The bottom line, I was told I needed Corneal Collagen Crosslinking or I'd go blind in roughly five years - and $5,000 cash up front, the doctor would be happy to conduct the procedure. Two and a half years went by and the Campus Eye Group in Hamilton, NJ, referred me to Dr. Peter Hersh. I wasn't looking forward to the same news I received years ago with the exception that my time was now cut in half. I told Dr. Hersh that I was thankful he would stop the progression in one eye but could never afford the surgery on the second eye. What he said next changed my life forever..."That's something you don't need to worry about." I don't get very emotional but I jumped out of the chair and hugged him. My right eye is showing signs of regression and the clarity is slowly returning. My left eye is scheduled for May and I've never been so excited. Dr. Hersh is stopping the progression and restoring my vision. Not so long ago, people were canonized for the same thing and while he may not be a Saint, he is the best at his profession and is both humble d compassionate. He changed my life...what could he do for you? 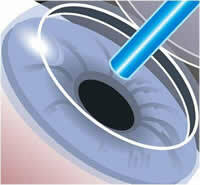 Getting the INTACS and crosslinking procedure done to treat my keratoconus was one of the best decisions I ever made. The eyesight in my left eye had deteriorated to the point where everything was a blur. Additionally, my eye always felt tired, and it was causing me to get a lot of headaches. The procedure was explained in detail to me, and from the start, everyone at The Cornea & Laser ye Institute made me feel confident in my decision. The procedure itself was easy, fast, and did not hurt. I did have some mild discomfort in my eye for about a week after the procedure, but it was only mild, and I did not require any painkillers. Every time I went in for one of my follow up visits, I was amazed at how much my vision had improved. At my three-month visit, it was incredible to compare my vision to where it was prior to the procedure. It has now been six months since getting the procedure done, and I am completely happy with the results! Once my vision had returned, I realized just how distored my vision had been before I went in to see Dr. Hersh. Now, without glasses, I am now able to watch hockey on TV and actually see the puck! Additionally, my eye no longer feels tired. This procedure was truly life altering for me, I am thankful that I decided to get it done, and grateful for the exceptional care I received from Dr. Hersh and The Cornea & Laser Eye Institute. My son, Matthew O'Brien has Kerataconus and has had this disease for approximately 10 years. We finally came to a decision to have his one bad eye taken care of, due to the fact that we were advised that the disease is starting in the right eye. Dr. Hersh, Stacey and the entire staff greeted us with courtesy and professionalism. After the procedure was completed my son was very confident and relaxed and his eyesight had improved immediately. We have had several follow-up visits and the staff is also very courteous and professional. If anyone is contemplating any type of eye surgery, my son and I highly recommend you contact Dr. Hersh and/or Stacey Lazar. Words cannot explain the life changing event my son has had with just one procedure that Dr. Hersh has done on his eyes. God bless Dr. Hersh and the entire staff. Please don't hesitate, call Dr. Hersh and/or Stacey Lazar today. Hi everyone. The following is a continuation of our testimonial. As you may know my son, Matthew O'Brien has Kerataconus and had his second procedure in August, 2013. The crosslinking was done and we couldn't be more pleased with the procedure and the professional and pleasant courtesy from Dr. Hersh and his staff. Although there was some discomfort with this procedure, upon the followup appointment the next day, Dr. Hersh and his staff quickly assisted Matt in caring for his eye. Thereafter, the healing was proceeding nicely and we are so thankful to Dr. Hersh and the staff for all their assistance. I couldn't have decided on a better doctor to take of his eye and this family, for sure, wouldn't use another doctor for any specialty procedure in the future. I would like to personally thank Dr. Hersh and the entire staff for all of their concern and most of all for their professionalism and courtesy during these procedures. THANK YOU SO MUCH CLEI! I've been dealing with Keratoconus related issues for the last seven years and have, unfortunately, seen many doctors that only made the situation worse. I was told by everyone that my ONLY remaining option was corneal transplant and was turned away by every CXL study until I found Dr. Hersh. Just having the opportunity for this treatment is a blessing beyond words. But it's more than that! I have truly enjoyed working with each and every person in the office and I know I am getting the best care possible with the Hersh Vision Group. I make the trip from Kansas City, MO to Teaneck, NJ each and every time because I truly believe in the treatment that I'm receiving there. You guys gave me hope when I thought hope was lost. My overall experience at the CLEI was fantastic. The staff and the doctors were all top notch. I did a lot of reading and research before I decided to go through with the procedure. I also had a lot of questions, all of which the doctors were able to answer right on the spot. Even the questions that I had where there's some difference of opinion between doctors (epi-on/epi-off) they had the answers for, as well as the reasoning behind their answers. I never felt rushed at any point when we were talking and it seemed like I had my own personal concierge doctor while I was there. It was unlike any other experience I've had at a doctors office. The first visit I had was great, because the Dr. Hersh didn't tell me something just because I wanted to hear it. I wanted to hear that I would walk out of there after the surgery and not need any corrective lenses, like the testimony of some other people that have had the procedure done. He explained to me that my sight was so bad to start that it wasn't a realistic expectation, but he felt that he could get me into a comfortable contact lens after the surgery. My experience with contact lens in the past were very bad, and he also explained to me that the contact lens that my old doctor had me using, for lack of a better term are from the stone age, m y words not his, and there are some very advanced contact lens out there now. The day of the surgery I was very anxious going into the office and it was great that I was taken in the back almost before I could sit down. There would have been nothing worse than waiting for a long time with nothing to do but think about what was about to happen. Even having 100% confidence in the doctor it's still not fun thinking about somebody doing surgery on your eye. Once in the back everything was explained to me as it was happening, which gave me a certain level of comfort. The night in the hotel room is a little bit of a blur, no pun intended. It was nice having having the surgery in the mid-afternoon, because by the time I got ot the hotel room, ate something, and settled in I was ready to go to sleep for the night. The sleeping pill worked wonders and I never woke up at any point. The day after the surgery was the follow up visit. Nothing that I had experienced in the twenty four hours post surgery came as a surprise for me, because everything was so meticulously explained beforehand. When I went in to see Dr. Hersh he looked into my eye and said it went perfectly. The most amazing thing to me is that he could actually see that the cross-linking was working. The few days after my visit were a bit more painful than I expected them to be, but well worth it. 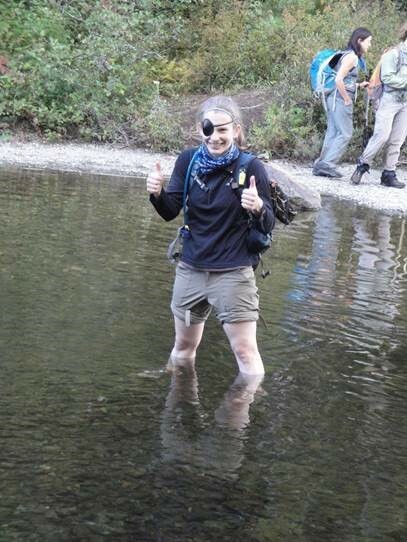 One thing that made me feel better was that I had a protective lens on my eye for five days after my surgery and it didn't give me any discomfort. It made me think that if I'm able to tolerate that right after surgery I'm not going to have any problem with discomfort when I'm fitted for a corrective contact lens. The old lens that I used to wear I could only tolerate for a few hours and I would have to take it out, because the pain was so bad. After five days I returned to the office for my one week follow up visit. Before my surgery I was unable to see the big E at the top of the eye chart. I'm not even sure how big the E would have to have been before I would have been able to see it. On this visit I was able to read the third line down with only one mistake. This came as a big surprise to me and gave me a lot of optimism for the future. As of this writing it has been three and a half weeks and I've noticed that my vision is better than it was before the surgery, but it does seem to fluctuate from day to day. This was expected, because that was told to me before the surgery. The only thing that caught me by surprise was once I discontinued taking the steroid drops I started feeling some pain and scratchiness. There was also some watering from time to time. This was mostly in the morning and has started to diminish more each day. Three days from today is my one month follow-up visit and I'm excited to see exactly what has happened over the past month. My only concern is that the stitch is going to be removed and I'm not sure what to expect as far as pain, discomfort and recovery time. With keratoconus I was wanting someone I felt would hep me with more than just glasses or contacts. I found that someone to be Dr. Hersh. After going through Cross Linking and Intacs I finally feel confident that the cornea would no longer continue to stretch leading to my being blind. 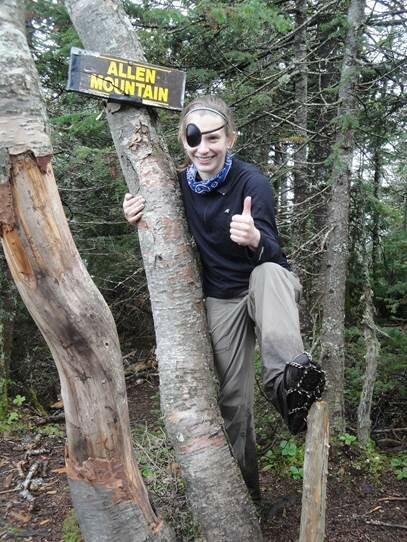 Although I did not get 20/20 vision out of these procedures my eyesight did improve slightly. My overall experience was great. Everyone was very helpful. Every doctor did their part and helped me and my condition to their fullest extent. The people at the front desk helped me out scheduling appointments and working on financial details. I highly recommend this institute for all people in need of corneal assistance. Very caring and individual care. I had the crosslinking procedure done. So far my eye has been healing nicely, hopefully it will continue too, G-d willing. Dr. Hersh and his team are great! They make you feel comfortable and definitely address all your concerns. My overall experience has been excellent! My overall experience was wonderful all the way from the annual seminar, pre-qualification appointment to the last check up appointment. The staff really made me feel special just by knowing my name everytime I was seen. Dr. Hersh made it very easy to make my decision to go ahead with the Collagen Crosslinking and intacs implant. All the technicians provided me with superior care throughout my treatment. Because of the excellent results on my left eye it was a no brainer to repeat the process of Collagen Crosslinking on my right eye. 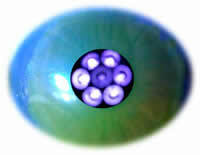 I decided to have my second eye done as part of the clinical trial for Intacs and CXL. The procedure went as smoothly as the first. Everyone I dealt with was friendly and very knowledgeable. If I have a need for another eye procedure in the future, I would have it done at The Cornea and Laser Eye Institute without a doubt. I have nothing but positive things to say about my experience.